When a global war nearly decimated humankind, an evil military organization called Oniken takes advantage of the situation to dominate and oppress the few remaining survivors. Even though any resistance to this organization seemed hopeless, a small rebel movement organizes strikes against Oniken. One day, a ninja mercenary named Zaku offers his services to the resistance for unknown reasons. His moves are lethal and now he is the resistance’s only hope. 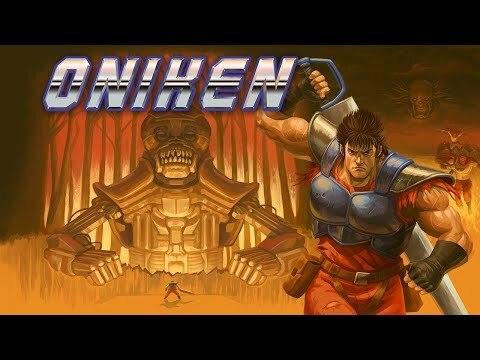 Oniken is an action platform game highly inspired by the 1980’s, its games and its movies. You can see this not only in the graphics and sound design, but also in Oniken‘s story and difficulty. Don’t worry, you will die lots of times. Oniken: Unstoppable Edition was released on Switch 76d ago in the US and the UK. The upcoming Oniken: Unstoppable Edition PS4 and Xbox One release date is Q2 2019 in the US and the UK. Notify me when Oniken: Unstoppable Edition is available.